The official start of summer 2015. Cafe Mambo has cemented its reputation over the years as being the annual pilgrimage that many make every year, for the international DJs that play there, their famous Strawberry Daquiri's and of course, the iconic Mambo Sunset. 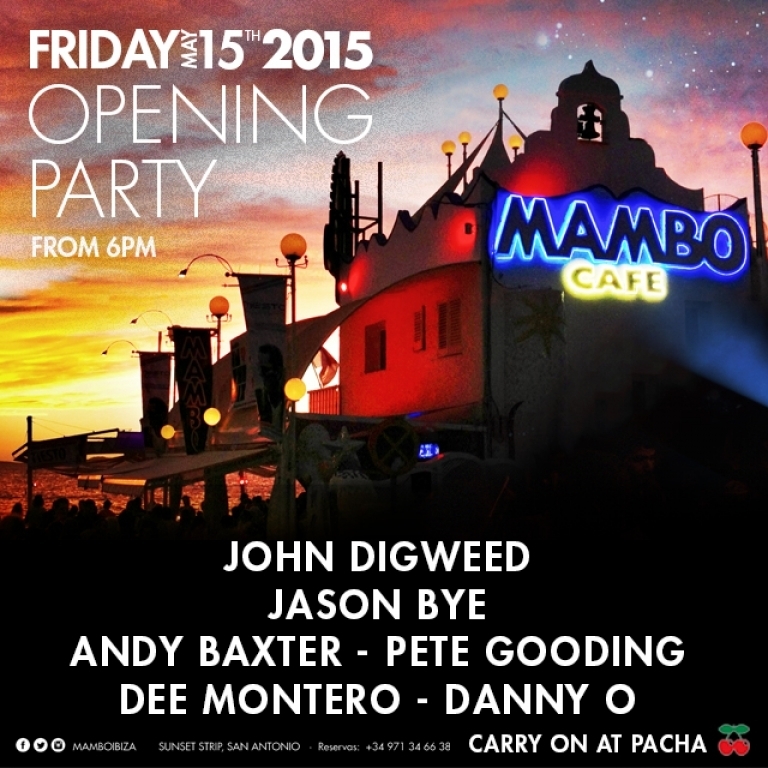 With some tipping 2015 to be the busiest summer in Ibiza yet, The Cafe Mambo opening party looks to be one of the parties of the summer that is on everyone's lips. Line up including, Dee Montero, Danny O, Pete Gooding, Andy Baxter, Jason Bye and headline act John Digweed.